We all want to save money for our kids’ future – but where should you put your cash? Here we examine the different options so you can decide which one is right for you. Any parent knows all too well that raising children doesn’t come cheap. But even putting aside just a few pounds a month into a savings account for your child can build into a sizeable nest egg over time. Whatever the savings are eventually used for – driving lessons, a deposit on a house, college or university fees, a wedding – you’ll be glad you put a savings plan in place! Below are the most popular savings options for children. We examine the pros and cons of each. What are they? These are simple accounts similar to adult current accounts. Most major banks offer them. They allow you to withdraw or deposit cash whenever you like, and most can be opened with as little as £1. Who are they available to? Normally any child aged up to 18. Any limits on how much you can save? Some accounts do, but many have no limits at all. Pros: You can get easy access to the money whenever you need it. Cons: Interest rates on these accounts vary hugely, and can go up and down. Some banks’ rates are quite poor, but they’ll try to tempt you to sign up with free gifts. What are they? These are accounts designed to encourage regular saving. You have to pay some money into the account each month, and you may not be able to access your money easily. In return for this inconvenience, you normally get a higher rate of interest than ‘easy access’ accounts. Who are they available to? Normally any child aged up to 18, though some accounts may have a maximum age limit of 15 or 16. Any limits on how much you can save? You are normally restricted to investing a maximum monthly amount (typically around £100). However you can always open another regular savings account with another bank, if you wish. Pros: These accounts tend to pay a higher rate of interest than ‘easy access’ accounts. 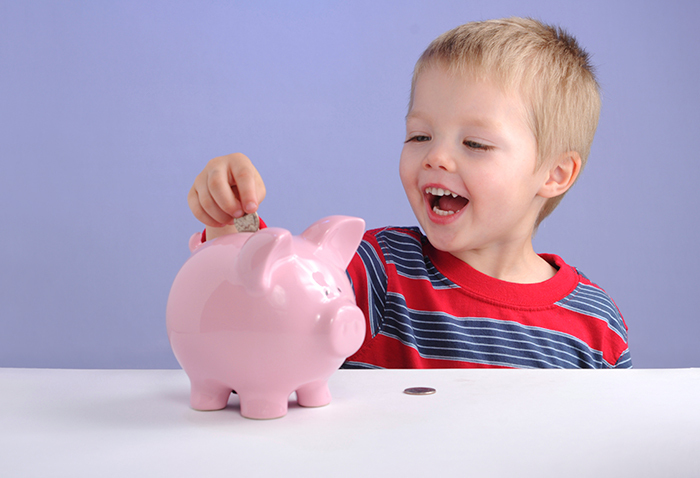 These accounts can also be a good way to get your kids into the habit of saving. Cons: These accounts aren’t very flexible if you need to suddenly access the money, or want to invest a lump sum. If you miss a monthly payment the interest rate you receive is usually cut dramatically. Also, regular savings accounts normally only last a year – after that, your cash gets transferred into a bog-standard low interest account. So after a year, review the rate you’re getting and move your money to a better rate if necessary. What are they? These are children’s savings accounts that require you to give notice before you can withdraw your money. (The notice period is normally between one to three months). Who are they available to? Normally any child aged up to 18. Any limits on how much you can save? Some do, but many accounts have no limits at all. Pros: You may get a better rate of interest than an easy access account (though not always!) Cons: You need to give notice before you can access the money. You can often get a higher rate with a ‘regular savings’ account or even (depending on the market) some easy access accounts. What are they? Junior ISAs are tax-free savings accounts for kids under 18, designed to help them build a nest egg. Who are they available to? Any child under 18 (provided they don’t have a Child Trust Fund). After they reach 18, their Junior ISA automatically becomes an adult ISA (and so remains tax-free). Any limits on how much you can save? Up to £4,000 per tax year (£4,080 from April 2015). The money can go into a Junior Cash ISA, a Junior Shares ISA, or a combination of both. Pros: Junior ISAs are tax-efficient, and you can pay in as much or as little as you like (as long as it’s under the £4,000 annual limit). Read our article about transfering Child Trust Fund to a Junior ISA here. You can find out more about JISAs here. KidStart offers money back for your children when you open an account with a number of different providers. See all of them here.